The Telluride Gondola is a free public transportation system that was built to connect Telluride and Mountain Village enabling locals and visitors to move freely between the two towns in less than 15 minutes. Approximately 2.25 million people are transported annually using the gondola system eliminating the constant need to drive and keeping our mounain air as fresh as nature intended. Cabins move at a top speed of 11 miles per hour and provide a warm environment for skiers to effortlessly gain access to the heart of Telluride's ski slopes and hidden treasures. Cabins are equipped with racks that can accommodate for multiple skis, snowboards and bikes. Pet-friendly cabins and handicap access are also available. Located at Oak Street Plaza on the corners of San Juan Avenue and South Oak Street. 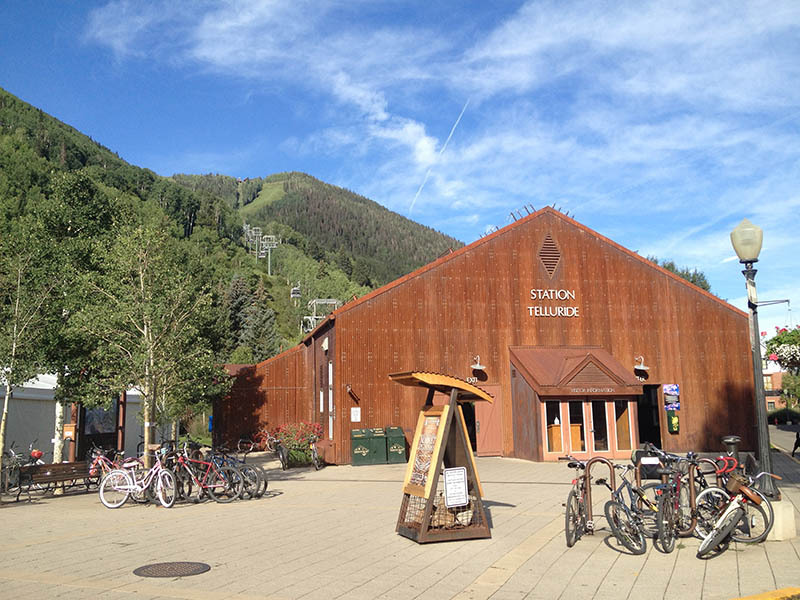 The station location is central to all of Tellurde, it usually takes less than a 15 minute walk from the farthest end of town to Station Telluride. There is no parking at the station, however, paid street parking is available around the area. Be prepared to take a lovely walk for few minutes from your parking location to the station, especially throughout the ski season and when summer events and festivals are in session. Station Mountain Village: Located at the Town Hall Plaza in Mountain Village. 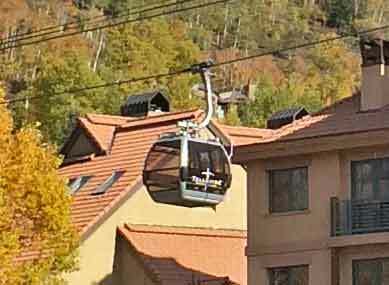 Station Mountain Village is located across a shorter gondola that connects both ends of Mountain Village ending at Station Village Parking, where Mountain Village free parking is located, as well as, Town Hall, Post Office and the Mountain Market.